It was time for an update mainly because I got a bit bored of the previous look which I "designed" when I first started my blog in 2012. The second reason why I did an update is because my blog wasn't very easy to navigate on mobile, and now it's a breeze! I didn't design this because that's way beyond my expertise plus it also takes a huge amount of time to do. 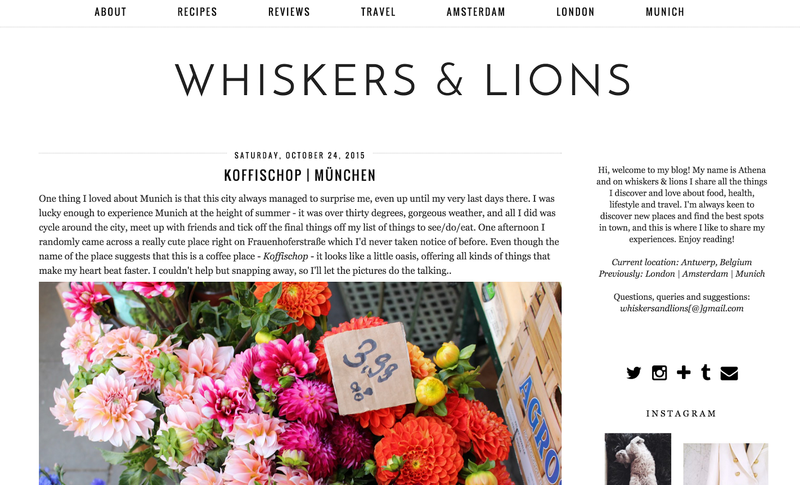 Luckily there are tons of experts and websites which can design beautiful layouts ;) I hope that whiskers & lions is now more pleasing to the eye and easier to navigate (check the tabs all the way at the top for all recipes, reviews, city guides and other travel posts) . I'm really happy with it and look forward to creating good content even more now!